Do you want to know what the Media tell about us? Here, you can find all the journalistic material on our activity such news, articles, videos. The new "Camilo Dagum" Center for Research and Services on Advanced Statistics for Fair and Sustainable Development is born under the scientific direction of Monica Pratesi. The Center is the result of the collaboration detween the Department of Statistics, Informatics and Applications of the university of Florence, The Department of Economics and Management of the University of Pisa and the Department of Economy and Statistics of the university of Siena. 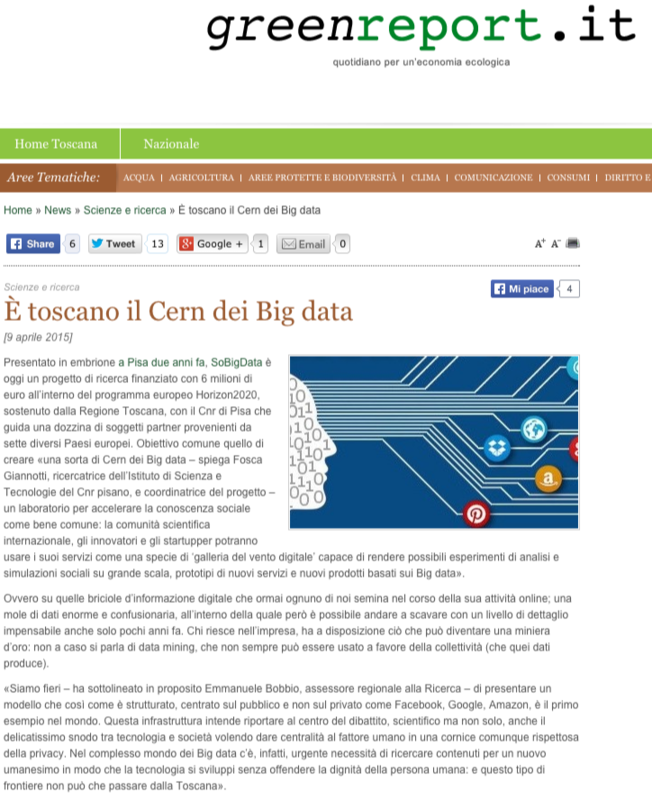 An article on Research Italy about the SoBigData project. 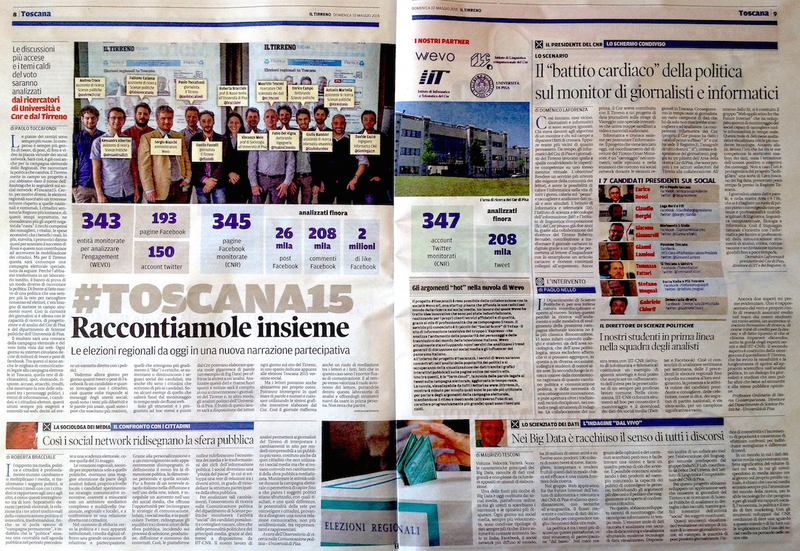 A new article by Maurizio Tesconi about the partnership with the newspaper Il Tirreno for the analysis of the social media data related to the next regional elections in Tuscany. The new partnership between the newspaper Il Tirreno, the CNR and the University of Pisa is focused on the analysis of the social media data related to the next regional elections in Tuscany.